Drop-down menu (also known as pull-down menu) is an essential in most web design. It plays important role in the creation of an effective and user friendly website. It’s a good solution to trim down long menu that is overwhelming the screen space, getting them to display in a more organize category-sub category pattern. 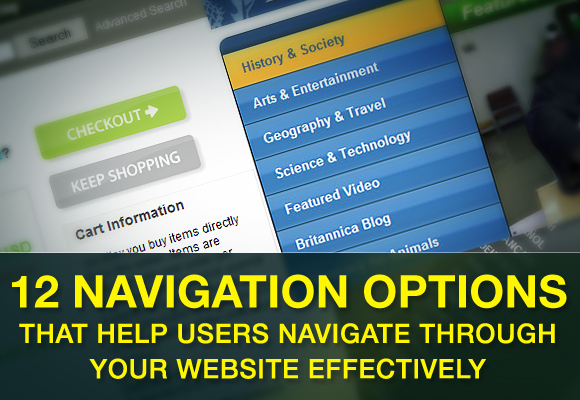 A website can offer readers at least 12 different navigation options. Not all of them are applicable to every website. However, a quality website should always offer a range of navigation options. Best jQuery Interactive Navigation Tutorials for Creative designs.